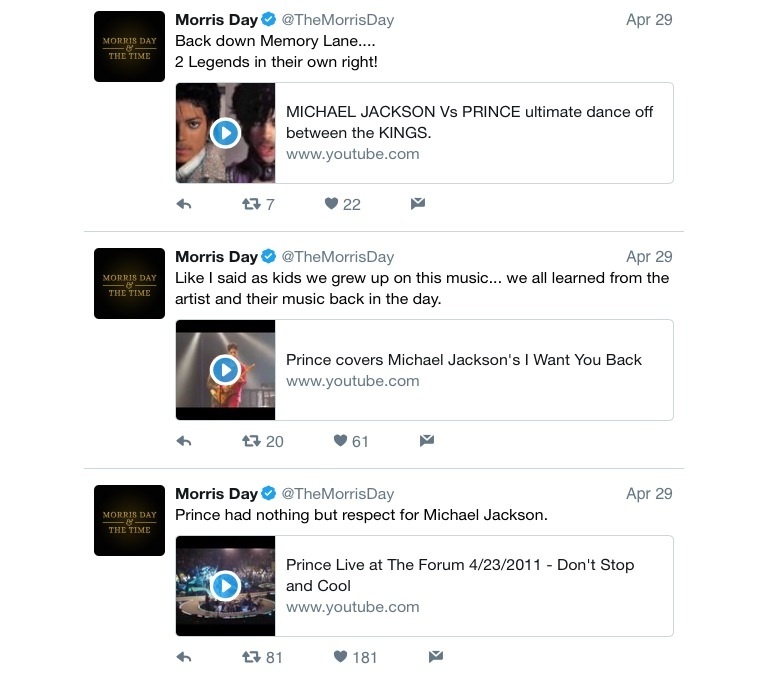 Morris Day's recent tweets about Michael and Prince. Re: Morris Day's recent tweets about Michael and Prince. 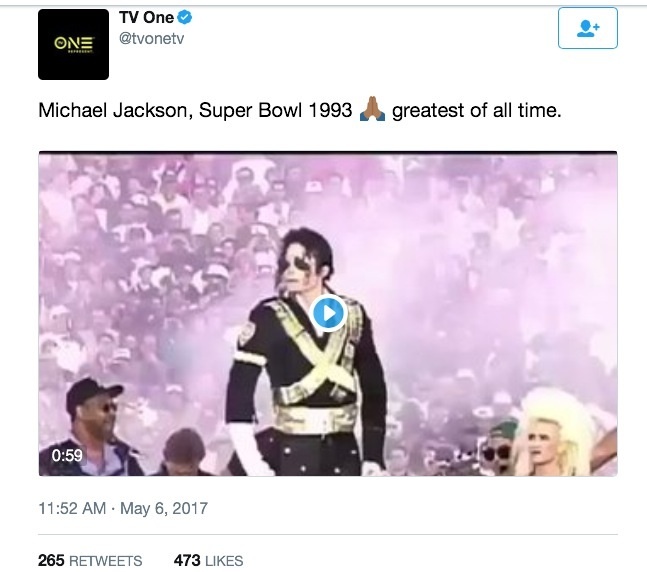 Kim Kardashian recently retweeted the MJ Ignition video. Here's a link to the retweet. That video will never not be lit AF. It deserves every tweet, retweet, and like that it gets. Re: Kim Kardashian recently retweeted the MJ Ignition video. Lady Gaga once tweeted that it's her favorite Michael Jackson's videо. I had no idea about this, LOL. I appreciate the news you bring in the forum, but it is not a little exaggerated to make of any tweet that someone posts about MJ to make a thread. Perhaps you should open a collective thread about current postive tweets from celebrities about MJ. I think it's a good idea that we have one thread to keep all these kinds of posts together. It keeps the forum a bit tidier and will be a more interesting read to have them all together to discuss. I've started off by merging a few threads from the first few pages but when I get more time I will look in more detail to bring past threads together with this one. If you do come across any threads that can be merged with this please report them so they flag up to staff! Thanks. I had suggested months ago to merge the tweets mentioning MJ on the report button. Better late than never. Last edited by Pink Diamond Princess; 02-05-2017 at 03:33 PM. A recent tweet by Amy Macdonald. A tweet by Mahogany Lox (a music artist). Guys - when posting celebrity tweets, can you try to print screen or copy past so we keep within this thread and discuss rather than links. Btw - this thread is now pinned, please keep all posts relating to MJ tweets here rather than creating separate threads for each and every tweet. Thanks for pinning this thread! I'll try my best to post screencaps or copy and paste. I kinda started a pinned thread. Last edited by Pink Diamond Princess; 13-05-2017 at 09:08 PM.